Note: files below are in PDF format (download Adobe Acrobat Reader, if needed). 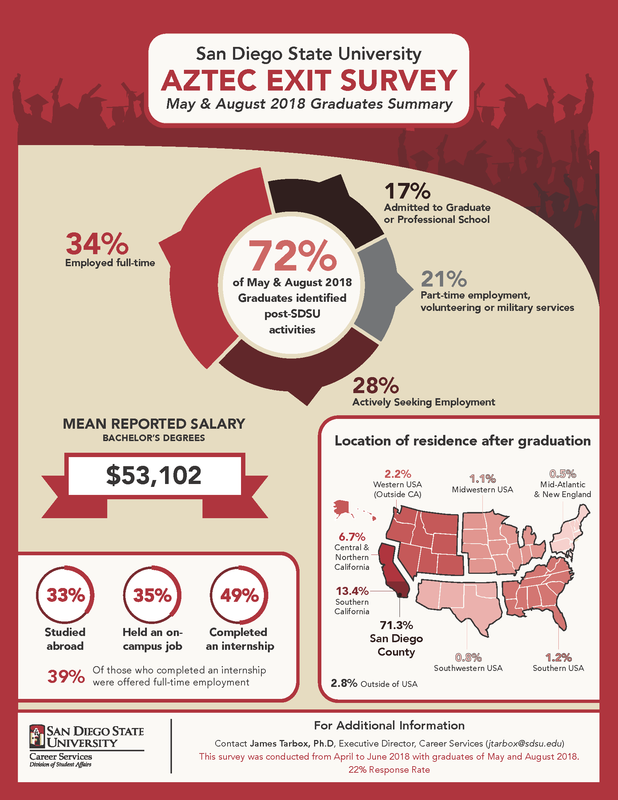 The National Association of Colleges and Employers (NACE) publishes a salary survey each semester with data compiled from colleges across the country. SDSU Career Services contributes regularly to this survey, and we are happy to share the results with our students and other interested parties.